It is with great sorrow we inform you of the passing of our Illustrious Brother James A. Young, 33. Brother James passed away Wednesday, September 5, 2018, at North River Health Campus with his son at his side. Ill. Brother Young was born March 20, 1928, to the late Paul and Caroline Young in Vanderburgh County, Indiana. He attended Grimwood and Scott Schools through eighth grade then began helping out on the family farm. As a young man, he also worked as a mechanic a welder and worked in a lumber yard. 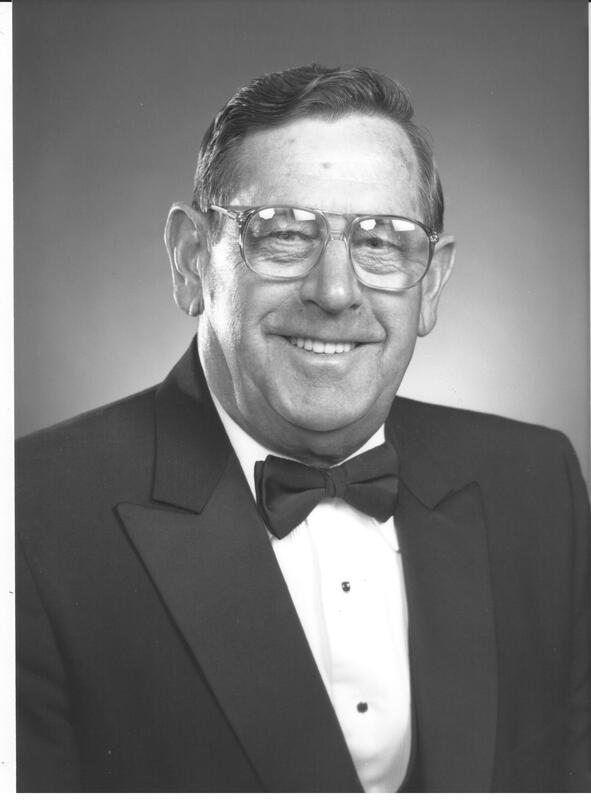 Later he was co-owner of a home building business and also owned the Daylight Farm supply store, and finally the owner of a trucking and school bus operation. James married Betty Ann Leonard, October 25, 1947, in Evansville, IN. They have a son Jeffrey A. Young. In Mid-life James became a Master Mason through the Constellation Lodge # 748 April 26, 1972. He also joined the York Rite Chapter # 12, Cryptic Masons # 23, Knight Templar, Evansville Commandry # 15, the Valley of Evansville Scottish Rite, The Hadi Temple Shrine and was an Honorary Kentucky Colonel. Ill. Brother James received his 33° degree in Chicago, IL 1992. Ill. Brother Young is survived by his son Jeffrey and his wife Debra and his beloved granddaughter Alyssa. He is also survived by two siblings a sister Valada Thomas and brother Noah Young. Condolences can be made online at http://www.browningfuneral.com. The burial will be a private affair with a remembrance of Life held at Salem Church of Darmstadt, 14134 Darmstadt Rd. Evansville, IN 47725 on Thursday, September 27, 2018, from 5:00 PM until 7:00 PM. Memorial contributions may be made to Salem Church a children’s charity or a charity of your choice.